Long Island Central Vacuum Repair is Long Island’s the fresh face in the central vacuum company industry with both the reputation and extensive list of services that are paramount to all competitors! Long Islander’s need look no further when it comes to keeping your house as clean as possible, while saving from every angle. Long Island Central Vacuum Repair is the premier specialist in the central vacuum industry. With an elite team of expert technicians, Long Island Central Vacuum Repair caters to every need a client may have, from start to finish, including installations, maintenance, and repairs. We even have a complete retail section, offering current and prospective clients endless choices of units, packages, accessories, and more! 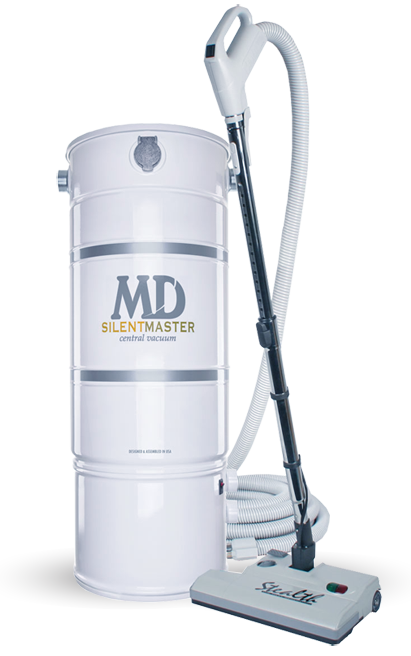 Central vacuum systems are the ultimate way to enhance your cleaning experience and completely solve almost all of the pesky problems associated with vacuuming, next to waving a magic wand and having all of your cleaning done for you. In the day and age where 24 hours in a day never seem to be enough, builders and homeowners need to cut corners saving on time, energy, and money, at every possible chance. Installing a central vacuum system in your home will not only help save time, energy, and money, but they also offer an extensive list of benefits that regular vacuums do not. Why Choose Long Island Central Vacuum Repair? Long Island Central Vacuum Repair guarantees our clients the quickest and most stress-free experience around. You can order or purchase central vacuum systems online, on the phone, or in person. Long Island Central Vacuum Repair offers clients a service like no other - our “mobile showrooms,” as we like to call them, allow clients to view and test the latest in central vacuum accessories, right in your own living room. That’s right! One of our VDTA certified technicians can help you decide which unit is the best for your home/business, and choose additional system options and accessories, according to your needs. With coverage that ranges from Manhattan to Montauk, Long Island Central Vacuum Repair can get to you quickly, especially when your system needs to be repaired. In fact, most of the time, one of our VDTA certified repair technicians can get to you and fix your problem that very day! Our vans come equipped with the equipment, replacement parts, and accessories so our technicians can fix the problems on the spot. They also come equipped with instruments and devices needed to test your unit for optimal functioning or problems, which can be done at the time of the visit. Additionally, and perhaps most importantly, Long Island Central Vacuum Repair honors and provides warrantees that are second-to-none. With our customers being our top priority and our goal to provide each individual with the best experience possible, we want every customer to rest assured that our products and services are of the highest quality. Therefore, we honor and uphold all manufacturer warrantees for all of our products, units, and accessories. We also cover all of our installation and repair services, so our clients can be worry-free. If something breaks, as a result of our work or if it was something our technicians installed or repaired, we will fix the problem for free. For anything and everything related to central vacuum systems, Long Island Central Vacuum Repair is the ultimate company to use. We are truly a turn-key business with a retail department, as well as installation, maintenance, and repair services, so no client need go elsewhere for anything! We also can repair all central vacuum brands including Vacuflo, MD, Nutone, Flitex, Electrolux, Beam, PowerStar, Pullman, Hayden, Cyclovac, Dirt Devil, Aggresor, Black & Decker, Dor Vac, Budd, DuoVac and many more. Central Vacuums have many time tested advantages over portable vacuums.